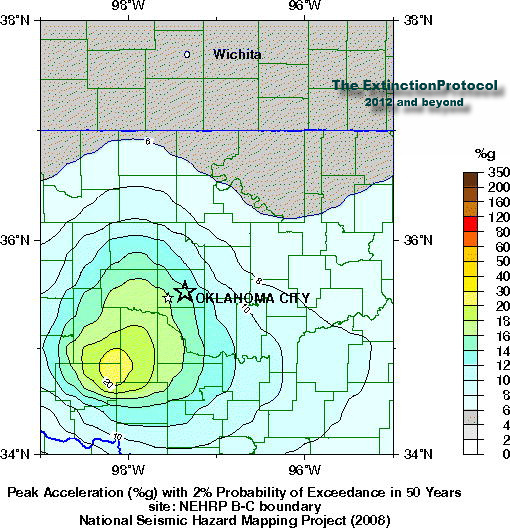 Recent Oklahoma earthquakes are making the media as Friday, October 28, note from The Extinction Protocol Group [image above from Extinction Protocol] reporting 3.5 and 3.3 magnitude earthquake activity in Oklahoma City Urban Area, 9 Miles ENE of Oklahoma City. http://theextinctionprotocol.wordpress.com while recent 2.5 and 3.0+ earthquakes are recorded by USGS in last few weeks. Also Friday, there was a big 6.9 magnitude Earthquake near the coast of Central Peru, 31 miles SW from Ica, Peru. Media reports on earthquake in Peru indicate minor damage. There are additional warnings from Iceland’s Katla volcano of EQ swarms and activity at that location. Still observing 3.0+ earthquakes in the El Hierro area of the Canary Islands, Spain Region, but with little media reports. Keep up with all earthquake activity by daily check on the DEYO website http://standeyo.com …………. Joel C. Rosenberg’s new novel entitled: THE TEHRAN INITIATIVE out this month of October is powerful in scope and a ‘page-turner’ event unfolding before your eyes, kind of book..! Purchased my copy at Amazon http://www.amazon.com however, just saw the book in Wal-Mart for sale. Absolutely a great book while watching the events unfold in the Middle East and Israel struggling to survive in a completely HOSTILE world..! You can visit Joel’s website http://www.joelrosenberg.com or subscribe for his Flash-Traffic Blog Posts…..! DEBKAfile’s latest intel report indicates Syria is sowing land-mines along the Lebanese, Jordanian, Turkish borders and [D] sources say this is in an attempt to seal itself off against foreign military intervention, while the Syrian regime continues to murder and exterminate the opposition to Assad….! L. A. Marzulli’s recent BLOG has an interesting commentary & analysis of news report entitled: “The Iraq Withdrawal…Why Now?” http://lamarzulli.wordpress.com and the very glaring question “So, What Happens Next…? ~ Check it out! 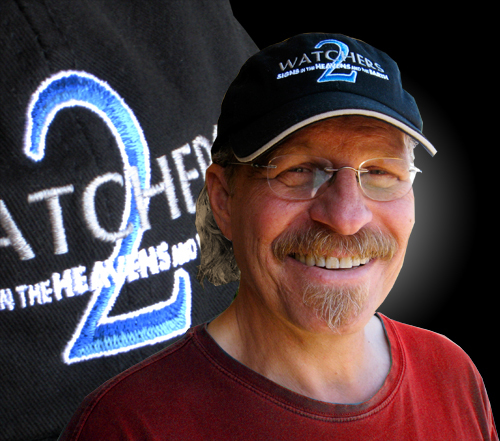 L.A. Marzulli wearing WATCHERS 2 cap [image above] ~ By the way here’s some intel you might be seriously interested in: ‘Received an email from Richard Shaw with HINT that I might be interested to SEE the new WATCHERS 3 DVD from L.A. Marzulli, coming out soon and with Torah Code data included…!!!! L.A.’s website http://www.lamarzulli.net and you can also see the related data on Producer Richard Shaw’s site http://www.pinlight.com ……………. Barry Roffman has a new completed Torah Code Matrix “IRAN WAR PLAN” posted at his research website http://www.arkcode.com/custom3_171.html Obama Plan to Attack Iran and Syria…! Check out Barry’s website http://www.arkcode.com ……….. Things are moving so quickly all around us now and including the incredible weather over the world and earthquakes, volcanoes, not to mention cosmic events….??????? Good Morning Larry – – It is snowing in Downtown Pittsburgh at 11:40 a.m. SATURDAY morning on October 29, 2011 – LORD, help me through this winter. I am not ready for SNOW!!! !~ There are still leaves on the trees, it is so bizarre seeing this as I am typing. It is not laying on the sidewalks, just on the grass and trees. It is really pretty, but I am just not ready. It shouldn’t be snowing until the 2nd week of December. It doesn’t even snow on Thanksgiving [usually]. I listened to the byte show and loved it. George Ann is such a sweet lady with such a heart. Thank you for posting all the good links in your blogs. I did get to listen to Lynn Marzulli on Coast to Coast thanks to you and it was worth staying up half the night listening to. Also your chit chat on the Byte Show was definitely worth the time and we thank you for hanging in there with all of us! Would love to see that photo you and GeorgeAnne were talking about with the strange looking girl.Maybe you did post it and I missed it. Anyway thanks again and God bless you and Darnette.